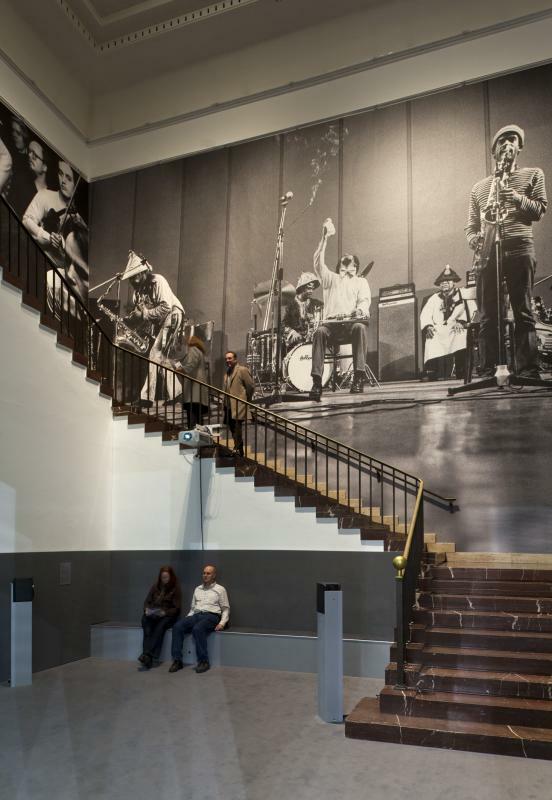 A trip to München (Munich) is a bit like a pilgrimage for fans of Germany's ECM label, especially right now, with the city's Haus der Kunst hosting a three-month exhibition, ECM: A Cultural Archeology, celebrating the music of this nearly 44 year-old label on the cusp of founder and primary producer Manfred Eicher's 70th birthday in 2013. 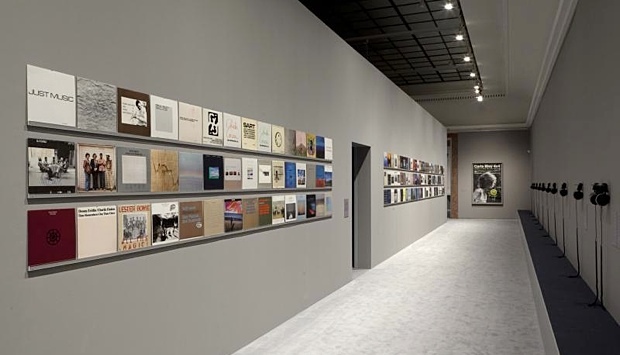 The exhibition, curated by Okwui Enwezor and Markus Müller, combines visuals that include video performances and plenty of still images from the label's massive archives, with historical information and listening stations, where it's possible to hear a broad cross-section of the label's history, documented on over 1,300 recording that range from the more straight-ahead but never mainstream jazz of saxophonist Charles Lloyd to the tremendous body of work from Estonian composer Arvo Part. Eicherwho, in addition to being one of the few active producers left, often assumes the responsibility of sequencing tracks on a recording in order to give it an overarching narrativehas also programmed a series of samplers exclusive to the exhibition. At these listening stations, equipped with high quality headphones, it's possible to sit, relax and absorb the breadth and depth of a label that certainly stands alone as the only one in history to create such a broad body of work thatwith Eicher's direct involvement in virtually its entire discographynot only reflects the aesthetics of those artists who collaborate with him (and it is collaboration; Eicher being the third member of every duo, the fifth member of every quartet), but Eicher's aesthetics as well. The often-referred "ECM Sound" may not be the reductionist series of characteristics to which some attempt to attribute an easy description (it's far more complex than that), but it is, indeed, an undeniable reflection of the man who has been at the helm since its inception. "Okwui called me," Eicher explains, "and said 'I'm in Munich now, and director of the Haus der Kunst.' 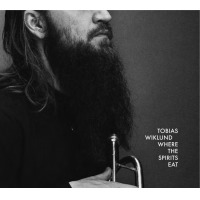 He said that he was a friend of [pianist] Jason Moran, and he [the pianist] had called him in Munich and said, 'You should make a step towards ECM and see what they're doing.' So he [Okwui] came and talked to me and saw the warehouse. He wanted to see all the tapes where they were laying, and asked me if we would be interested in collaborating with him, because he had the idea to make an exhibition about ECM. "I said, 'Well, let me think about it,' and so I thought about it for a few days and then said, 'Yes, let's do it," Eicher continues. "So we gave him more or less carte blanche; we opened the archives for the curators, for Okwui and Mr. [Markus] Müller, and they came to the office to select photos and have several meetings. It was then that they decided to limit it to the first 15 years, the early years, without the New Series except, perhaps, for [Arvo Pärt]'s Tabula Rasa (1984) and Steve Reich [whose ECM debut, the now-classic Music for 18 Musicians, was released in 1978]. It was very much focused on those first years and I think they decided to do that because it's better to unify the conceptual aesthetic, because you can't introduce an entire label and 40 years of work; it then becomes too much a kaleidoscope of everything." Of course, even looking at just the first fifteen years of ECM provides more grist for consideration than any other label, even heralded American imprints like Blue Note and Impulse!. And, had ECM only survived that relatively brief span of time, it still would have made a significant mark in the history of recorded music; that it's lasted nearly another three decades only further justifies its position, like the label or not, as the single most important label in the history of recorded music. Eicher's accomplishments during those first fifteen years are almost impossible to count, but amongst the many high points during this time were the release of seminal recordings from the Art Ensemble Of Chicago and the placement of Norway and Sweden on the international map with the introduction of five important artists: saxophonist Jan Garbarek, guitarist Terje Rypdal, pianist Bobo Stenson, bassist Arild Andersen and drummer Jon Christensen, all of whom would go on to significant careers in a variety of constellations as collaborators and bandleaders. The label has also been the instigator in the formation of groups that exist to this day, like the 40 year-old duo of pianist Chick Corea and vibraphonist Gary Burton, and the "Standards Trio" of pianist Keith Jarrett, bassist Gary Peacock and drummer Jack DeJohnette.